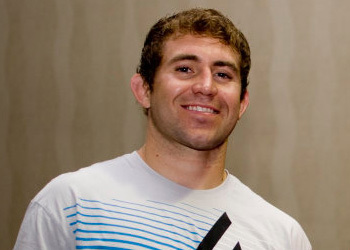 When Vitor Belfort shunned a UFC 153 scrap against Alan Belcher (Pictured) to challenge light heavyweight king Jon Jones for his crown at UFC 152, Octagon officials were forced to locate a replacement to meet “The Talent” in the October 13th event. Well, according to Belcher, no such move will be necessary because he’ll be rehabbing a back injury. However, the 28-year-old already has an opponent in mind when he comes off the IR. Belcher’s injury follows a long line of wounds that’s forced the middleweight to ride the pine. He collected his fourth consecutive win by posting a TKO victory over Rousimar Palhares in May. Although, Belcher broke his right hand on Palhares’ face during the assault and has been riding the pine ever since. Prior to that, Belcher underwent emergency eye surgery that kept him on the sidelines for 16 months. Belcher owns a respectable 18-6 professional mixed martial arts record.